The doors to Casco Yoga are open 30 minutes prior and 20 minutes after classes and you’re more than welcome to come by and have a look and chat. Contact us by sending an email to info@cascoyogapanama.com or send a whatsapp (see icon on screen) message to +507 6265 5588 for the quickest reply. 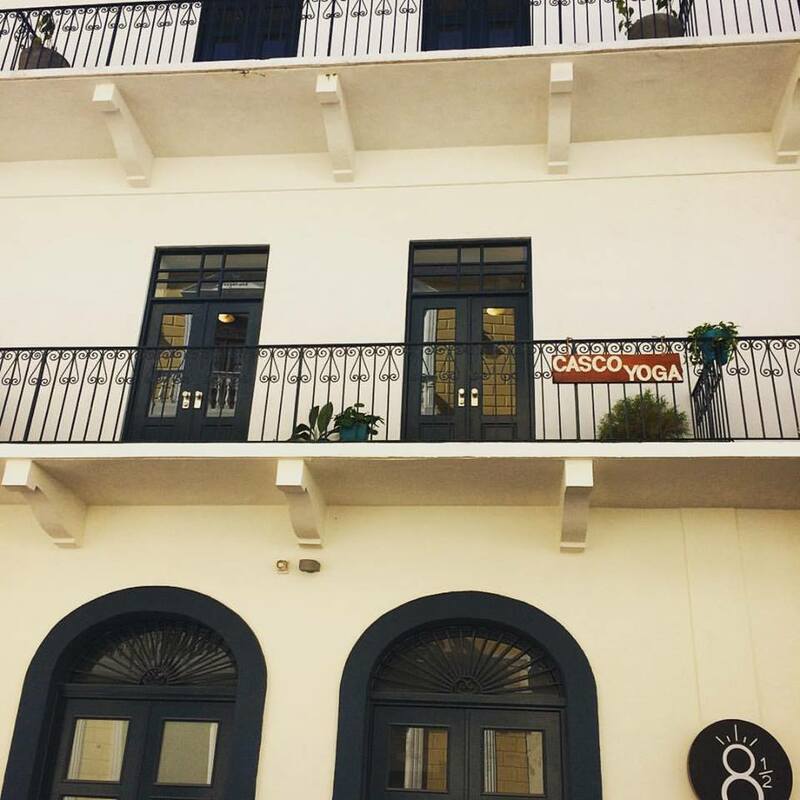 We are located in El Colegio on the second floor a beautiful building between 8th and 9th street (side street Plaza Herrera) in Casco Viejo, Panama. The studio is right above restaurant Ochoymedio, Felipe Motta and Mailboxes Etc.